The Roarin' Tyler, the Playful Tiger Pet is ready to play. And his favorite way to play is to Roar! Make noise and he roars back. Talk to him and he responds! 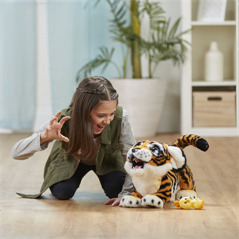 This Tiger cub responds to sounds and touch with 100 and up sound-and-motion combinations! Pet his head and his eyes might close. Pet him on his muzzle and he moves! The Roarin' Tyler, the Playful Tiger Pet even has a little chicken toy. And with poseable back legs, he can be hugged and cuddled. He's an exotic, fun-lovin' pet! 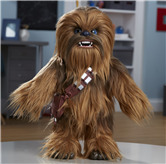 FurReal and all related characters are trademarks of Hasbro. So your niece's or nephew's parents said no puppies... but they never said anything about tigers, right? 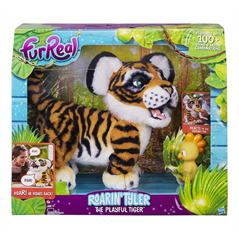 Hasbro's FurReal Roarin’ Tyler, the Playful Tiger is its most life-like (yet friendly and gentle) robotic plush, yet! We just couldn't get over this tiger pet! 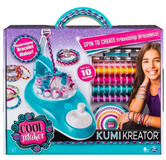 And we know your nieces and nephews will fall in love, too!